This week Ottawa hosted, once again, the Forest Pest Management Forum. This is an annual meeting where people from all over Canada (and a few from the United States) gather together to share updated information about forestry pests and its management in the country. I have never been to those meetings, but this year a good friend and colleague, Dr. John Huber, from the Canadian Forestry Service and the Canadian National Collection of Insects (CNC) in Ottawa, suggested me to attend. And I was seriously planning to go when some unexpected complications at work prevented me to do it. As a "consolation prize" I ended checking the website of the meeting to at least have a sense of what was going on there. First I found a nice compilation of pdf files with the proceedings of past meetings. Anyone interested in the topics of Entomology, Forestry and Pest Management should take the time and revise that valuable source of data. There are tons of information there. One of the most interesting, in my humble opinion, is to see the historical pattern of pests, within the country and in individual provinces. You can follow the evolution of different pest problems that Canadian forests have experienced during the past years by just reading those proceedings. I went back only seven years, up to the proceedings of the 2005 meeting. But found quite a few interesting details, and this post is to share what I found about Lepidoptera pests. First of all, I could compile a list of 119 species and 20 families of Lepidoptera caterpillars that have been considered forestry pests in Canada (see detailed list at the end of this post). 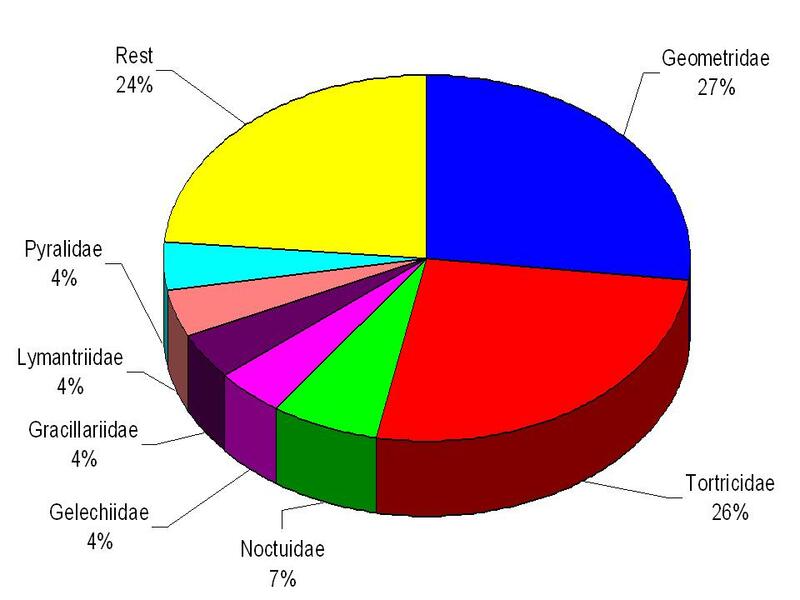 Half of all species belong to just two families: Geometridae (27%) and Tortricidaae (26%), and seven families account for three quarters of the species. Lepidoptera considered as pest of Canadian forests (grand total: 119 species and 20 families). 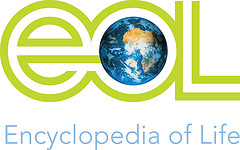 For an explanation of the data sources, see detailed list of species added at the end of this post. Within the last seven years (2005-2011) the proceedings of the Forest Pest Management meetings mention at least 51 of those 119 species (or 43% of the total), with a few of them being major pests, while the rest is considered of occasional and/or local importance. [As many people know very well, the major pest problems in Canadian forestry these days are beetles (mountain pine beetle, emerald ash borer, etc) rather than moths -with a few exceptions, such as the spruce budworm. But this blog is about Lepidoptera and its braconid parasitoids, thus I will leave the analysis on beetles to some coleopterist]. Back to the topic, my next step is to try compiling how much do we know about the natural enemies of those pests in Canada. And I found that we know very few about most of the species. However, we are lucky to have a large source of unpublished and unknown data in the Braconidae collection of the CNC. There are many new records of braconid wasps parasitizing those caterpillar species that Canadian researches mention as forestry pests. Thus, in future posts I plan to follow up this thread by sharing that information, which I will be gathering while studying the CNC collection. Stay tuned for more on this soon. The following list provides details of 119 species of Lepidoptera that have been considered pest of Canadian forest. It was compiled from information freely available at Natural Resources Canada with some additions from the last seven Proceedings of the Forest Pest Management Forum meetings. The species are listed in alphabetical order by their scientific names, with the common names and families of Lepidoptera they belong to, also provided. Species preceded by an asterisk (*) are those mentioned in the Pest Forum meetings of the past seven years (2005-2011).